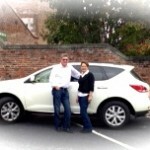 Back On the Road « Kathy Murphy, Ph.D.
Once again we packed all of our stuff into our trusted Nissan Murano and this time we headed south. We drove through Santa Barbara and Los Angeles, deep into Southern California. However, we didn’t quite make it all the way to San Diego…we never do. For some reason, we always stop in Encinitas. 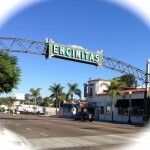 Encinitas is a cool surfing town. There’s always volleyball on the beach. Everyone’s outdoors all the time. The weather is perfect. This is the ideal location for exploring what Southern California has to offer. From Los Angeles to San Diego, something’s always going on. 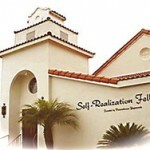 And did you know that Southern California has some of the most well-known and powerful spiritual centers in the world? We’ve been here, Encinitas that is, four times already. Last September, we even lived here for a month. And now we’re back. Maybe it’s because of the beach and the great beach town, but really it’s because of Yogananda’s Self-Realization Center. Paramahansa Yogananda is often referred to as the Father of Yoga in the West and his The Autobiography of a Yogi is considered one of the “100 Best Spiritual Books of the Century.” If you want to be introduced to the mystical, magical, and deeply spiritual practices of India, visit here. 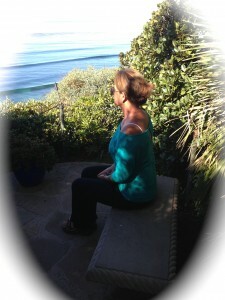 I know we keep coming back to Encinitas because of the meditation gardens that sit on top of the cliff overhanging the Pacific Ocean. The setting is stunning and the energy is palpable. People have been coming here for decades to pray and meditate. So, everyday, Michael and I walked from our beach-view condo to the Self-Realization Center’s gardens where we too, like thousands and thousands of others, stopped to meditate and to pray for self, others, and the world. On the same day that I meditated in Yogananda’s gardens, I hopped in the car and drove 10 minutes to Carlsbad, just north of Encinitas. I took a noon yoga class at the renowned Chopra Center for Well-Being right in the middle of the world-class La Costa Resort & Spa. Oh yes, Deepak does it first class. Most of the time when you think about his classes, you think expensive. And, honestly most of his programs and retreats are expensive. However, if you go to his home base here in Carlsbad, you can actually take a yoga, meditation or other classes for less than $20. It’s well worth a visit. Most of the daily classes that are offered at The Center are based on Chopra’s classic, Seven Laws of Spiritual Success. Michael and I have both read this book several times. We have a cheat sheet to help us remember the basic spiritual laws ~ which, by the way, are more or less the same in all spiritual practices. Be kind, Be thoughtful. Don’t harm. Care for others. Etc. 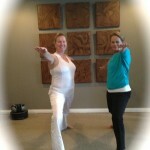 On the day of my yoga class, we focused on The Law of Least Effort. Don’t we all need to remember this one? Just a quick mention of another powerful spiritual center near Encinitas: About 20 miles due east, in Escondido, is Deer Park Monastary ~ a retreat center for Thich Nhat Hahn, one of the greatest Buddhist leaders alive, next to the Dalai Lama. During this stay, the center was closed to the public due to the famous monk holding a private retreat. Most other times, you can walk the grounds and hear talks from the spiritual leaders that may be present ~ including Thich Nhat Hahn. After leaving Encinitas, we drove back to the City of Angels ~ Los Angeles. We came to visit old friends and revisit the Agape Church. Since our journey began last December at the Agape Church, it seems fitting that we stopped here again as our year long trip begins to wind down. Now…if you want some good ol’, home-grown gospel preaching, you want to hear Reverend Michael Beckwith at the Agage 11:00 service every Sunday. Yes, he’s there almost every Sunday. That’s when he’s not on Oprah, or teaching at Omega, Esalen or the Joshua Tree Retreat Center. He is a powerhouse to behold. Maybe you saw him in the movie, The Secret. Watch the video to get a glimpse of what goes on there. We love Michael Beckwith’s teachings, but we love the music of this church even more. The Agape Church rocks. We need only to be still in the present to be filled with peace, joy, & serenity. When people ask me what’s the biggest lesson I’ve learned on this spiritual journey, many things rush through my mind. I’ve learned quite a few things. I’ve learned that the experience of spirituality is more alike for most people and that religions are more different. I’ve learned that spiritual well-being is connected to and depends on emotional and physical well-being. I’ve learned that we all want to be connected to that source of power that is greater than ourselves. And I’ve learned that we all have access to it. I have learned that if we will sit still and listen ~ if we will meditate, pray, and commune with nature ~ in the stillness we will learn what we need to know. As the greatest Source of all says ~ Be Still and Know…. 1. Yoga – I was telling the instructor about my knees and why I can’t do yoga when a young man walked past me into the class. He only had one leg! I told the instructor I’d be there tomorrow. 2. 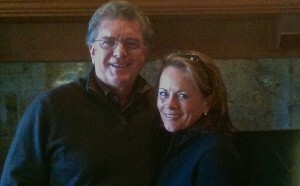 Dear Friends – In LA, we visited my dear friends, Lou and Kathy. Lou and I met in the third grade and have been friends ever since. 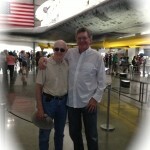 It has been 42 years since I’ve lived in LA but everytime we go, we visit. And at every visit I find Lou and Kathy are doing something else to help someone. They have raised two extraordinary daughters and helped countless friends and family. As a physical therapist, Lou treats each patient with dignity and care. He is such an inspiration and a great teacher for me because he has not stopped growing as a human being. He continues to learn and do good for others. And he continues to show me the way. Learning to sit in stillness has opened my heart and it is full of gratitude. I love the life I have. Gone are the days of wishing I had more or better. The simple things ~ a flower, a bird, a sunset ~ give me great pleasure now. These things have always been there I was just too busy chasing the next prize to notice. The stillness has also made me aware that the greatest treasure on this earth is family and friends. We have made so many peaceful, generous, caring and loving new friends. Kathy and I are also looking forward to our visit to SC when we can see all of the old friends that we love, miss, and can’t wait to see. There will be lots of hugs. After a very long drive, we arrive back in Petaluma in Northern California where so many opportunities are waiting for us. This weekend we are attending one of our Spiritual Guidance program weekend retreats and next week we will attend the International Conference for Transpersonal Psychology. We have applied to be volunteers at Spirit Rock Mediation Center and the Institute for Noetic Sciences (IONS). I can’t wait to share these experiences. This entry was posted on Thursday, October 24th, 2013 and is filed under Buddhism, Journey, Life Coaching, Living Your Possibilities, Meditation, Personal Growth, Powerful Questions, Retreats, Self Help, Spiritual Journey, Travel blog, Uncategorized, Women's Retreats, Yoga. I am always eager to read the next installment of what your are experiencing on your journey. It has been fun, but also so enriching to hear about all these places that exist for self awareness to blossom. Also, your honesty and vulnerability along the way has made it all seem so real. I can’t believe your year is nearly over. Thank you for sharing! Charleston will be happy to have you back for a while. Kathy, I love your adventures…what fun you must be having! I too love the gardens at Ecinitas…and surf vibes, and Italian restaurants. You make me sentimental. I used to live in South Orange County for almost 20 years, in Laguna Beach. I love to hear how you go back and enjoy the places you love. It makes me want to do the same. The way you describe everything makes us feel part of you, appreciating life..the little birds..every detail. Wonderful! Can’t wait to hear more! The children of israel took 40 years to enter the promised land. It seems that you and Michael have found it in many places along the way. Look forward to seeing y’all upon your return. Missing you but so happy for you! I just love all the comments and well wishes….when you’re out on the road away from home for so long, it means a lot to hear from people. While the experiences we are having are magical and fulfilling, they can never replace the love and the companionship of those we care about. Jeannie, Love that quote. It’s perfect! Kathy, I just love reading your blog. This particular resonates with me. Back in the 70’s, yes I’m that old, I read Autobiography of a Yogi. It changed my life forever. I’ve been a student of his now for… we won’t go there. I regret that I’ve never made it to the Self-Realization Center in Encinitas, Deepak Chopra’s (another fav of mine) Center, or the retreat center for Thich Nhat Hahn. But thanks to you, Kathy, I have added all three to my bucket list. Thanks for sharing your experiences. My only regret is that I wasn’t stuffed inside one of your suitcases! Hugs and love.